Bring up the topic of a new market with a diamond seller, he or she would invariably ask for its geographic location. Market stagnation and loss of buyer interest is nothing new for the diamond industry. Diamonds are expensive, the inefficient operation of diamond trade inflates the price of diamonds with multiple brokers and middlemen adding their margins to the price. Buyers and especially novice buyers, get disheartened when they see the vague information and unreasonable prices on diamonds. With this scenario, the hope of expanding markets seems like a fairy tale and yet, there is a distinct and promising market waiting to be accessed. Blockchains are the buzzword today, from government utility services to high security banking accounts, everyone seems to be keen on joining the blockchain bandwagon. GLITZKOIN with its highly skilled technical team and an unmatched expertise in the diamond industry, is poised to literally offer the new diamond market on a platter. Diamond sellers will need to adapt to the changes or remain stagnant and blame it all on market sentiment. Without getting too technical and confusing, let us talk about the GLITZKOIN vision. The project is poised to deploy a diamond blockchain where, anyone could list a certified diamond and anyone could buy a listed diamond. It is important to understand that, a prospective buyer would always be making direct contact with the seller, no middlemen and no cloaked pricing strategy. Diamond sellers most often, have no knowledge of the final consumer. All they do is deliver their diamonds to a broker who in turn, could deliver it to as many as 4 to 5 brokers. The GLITZKOIN platform will make it possible for sellers to work directly with the final consumer. With no price inflations brought about by middlemen, the seller is bound to deal with a more positive minded buyer. Trade in this industry currently relies heavily on paper work, staff are employed to handle the cumbersome procedures. Besides being time consuming, the lengthy process also adds up overheads which ultimately pile up on the price tag. The use of a diamond blockchain will significantly reduce such overheads. 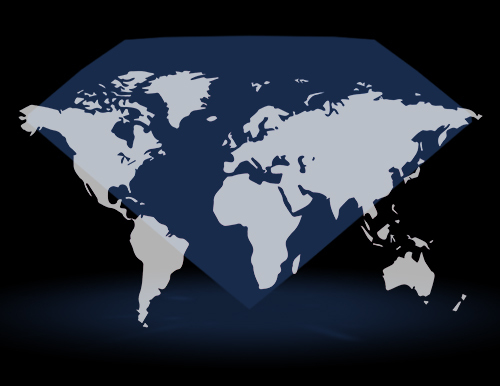 We need to emphasis that, a diamond seller from any point on the globe could form a direct connection with a buyer located at any place on the earth. The market is everywhere, this is one market that is still in its infancy and is bound to grow rapidly. Buying a diamond is just one part of the transaction, payment is to be made and this can bring its own layer of challenges. Currency conversion fees, bank charges and similar financially related expenses need to be borne. The GLITZKOIN project includes a crypto currency that would be used to pay for a diamond purchase and other related expenses. This will erase problems related to currency rates and bank fees. So the next time you hear somebody talk about damp market sentiments for diamonds, tell them about the new market that is everywhere and for everyone.